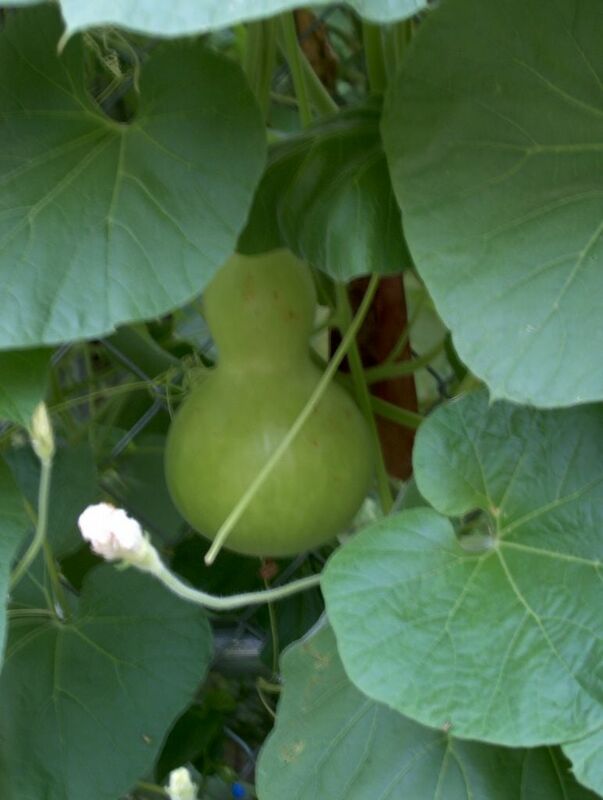 Look a Gourd, finally! This one may actually make it to become an actual gourd. I planted four varieties of gourds. I have lots of blossoms but haven't seen any tiny gourds yet.